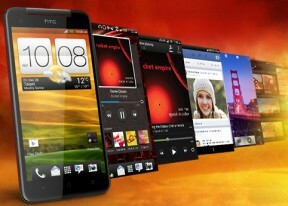 Unfortunately there is no HTC Hub in the Jelly Bean version of HTC's Android implementation. This means you can't get additional HTC scenes, HTC wallpapers, etc. The HTC Butterfly has a built-in GPS receiver, which managed to get a lock in under a minute (with A-GPS switched off no less). If all you need is a rough idea of where you are (within 150 meters) you can use the Cell-ID and Wi-Fi network lock, which is very fast as well. You can save maps for offline view, which caches them on your device's storage, but keep in mind that not all map info is saved (meaning not everything down to street level like businesses, POIs, etc.). You can also go with HTC's Location app, which lets you navigate offline and download a handful of language packages and maps by region. One month of voice guidance will set you back 9.99 EUR, while a year or unlimited cost 39.99 and 49.99 EUR, respectively, which is a bit on the salty side.